The Gas Regulating House at North Melbourne is a remnant component of a once larger town gas distributing site. The Melbourne Gas Company became the monopoly gas manufacturer in Melbourne from 1 January 1878. Town gas was manufactured from coal at the Melbourne Gas Company's large plant in West Melbourne directly adjacent to the Yarra River where the coal was easily delivered by ship. 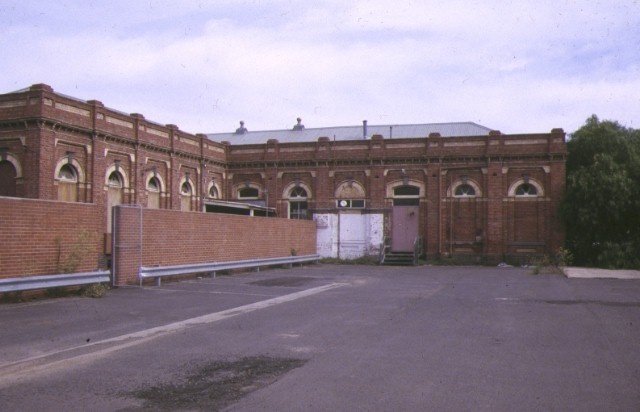 The North Melbourne Outstation was established in 1887 as part of the distribution network from the West Melbourne plant via the (now demolished) 3 million cubic foot gasometer and the governing and pressure raising plant in the adjacent brick building. From North Melbourne gas was supplied to the Fitzroy and Essendon outstations as well as the north and north west regions. The Gas Regulating House was constructed of finely modelled brickwork. The window arches are in rubbed cream brick, cornice lines are in brick specials with pressed and shaped brick clay bracket work, and recessed parapet panels are in bi-chrome brickwork. The interiors are of hard plaster walls in panels with an acanthus capital to the intermediate engaged pilasters, lath and plaster ceilings with deep cornices and ceiling roses, as well as other features which give a domestic decorative appearance unusual in an industrial building. The Gas Regulating House at North Melbourne is of historical, scientific (technological) and architectural significance to the State of Victoria. The Gas Regulating House is of historical significance as a rare surviving component of a once large metropolitan gas supply infrastructure which is today almost completely obliterated, with only the supply pipelines remaining in use for natural gas distribution. The town gas industry, which was developed during the second half of the 19th century, improved living and working conditions and drastically changed the way of life of many Victorians. The Gas Regulating House at North Melbourne is of scientific (technological) significance as a rare surviving example of a 19th century gas regulator, its importance compounded by the survival of some of its early regulating valves. Only one other metropolitan regulating house is known to survive, in St Kilda Road, but it has no equipment and is much smaller. 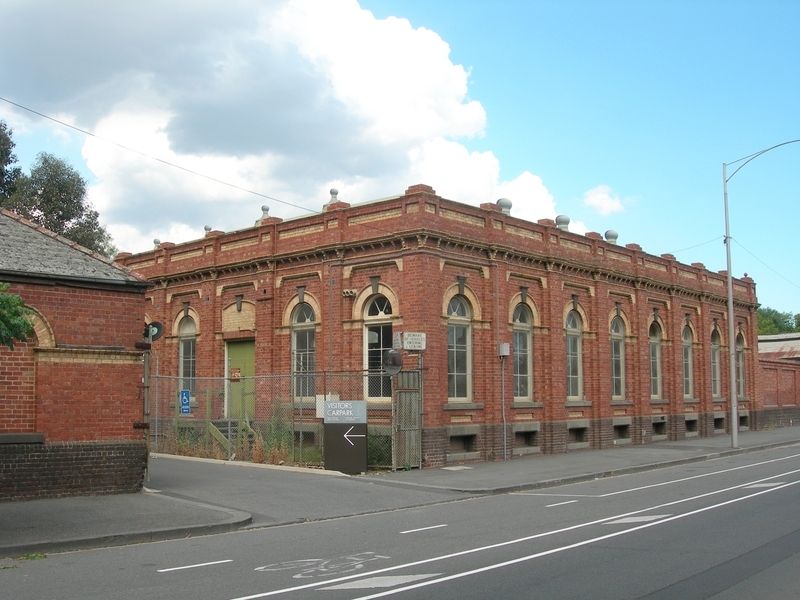 The Gas Regulating House at North Melbourne is of architectural significance as a fine example of a 19th century industrial building. The substantial character of the building, especially its unusually decorative interiors, reflects the importance of the new gas industry in the 19th century city. Gas Regulating House, Macaulay Road, North Melbourne, City of Melbourne. 1. All of the regulating house marked B-1, the brick fence F-1, the disused subfloor gas regulators and the operating gas regulators and valves stamped with the name of the Metropolitan Gas Co on diagram 603270 held by the Executive Director. 2. 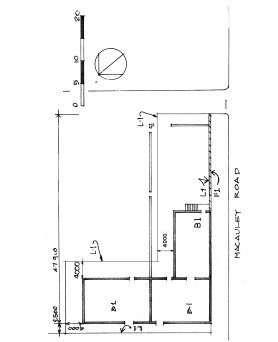 All the land marked L-1 on Diagram 603270 being part of Certificate of Title Vol 6153 Folio 457 held by the Executive Director. In Melbourne the first use of gas for illumination was in 1849. In 1850 the City of Melbourne Coke and Gas Co. was formed but it was not until 1856 that the gas was used to illuminate buildings. A second gas company was formed in 1861, followed by a third in 1873. These were amalgamated in 1878 to form the Metropolitan Gas Co.. The North Melbourne Gas Works were established in 1887 as part of the distributive network for the West Melbourne Gas Plant. The North Melbourne Works were established to capture incoming gas from the West Melbourne mains, store the gas in a gas holder and deliver it under pressure to local consumers and more distant plants such as the one at Fitzroy. The gas holders helped keep the gas lines pressured and provided a reserve of gas to even out the supply flows from West Melbourne. In the case of North Melbourne a 3 million cubic foot gas holder was constructed as a 3 lift type which employed a permanently standing frame of cast and riveted iron work in which the telescopic gas holder rose vertically. Other buildings on the site included the regulator, the boiler room and chimney stack (now demolished) and a keepers residence which was later converted to the station house where meters and other gas appliances could be checked. This building was substantially demolished. the stated cultural significance of the site. cultural significance of this heritage place. which prevents damage to the fabric of the registered place or object. Executive Director shall be notified as soon as possible. Director, all works shall be in accordance with it. or rescinding all or any of the permit exemptions. 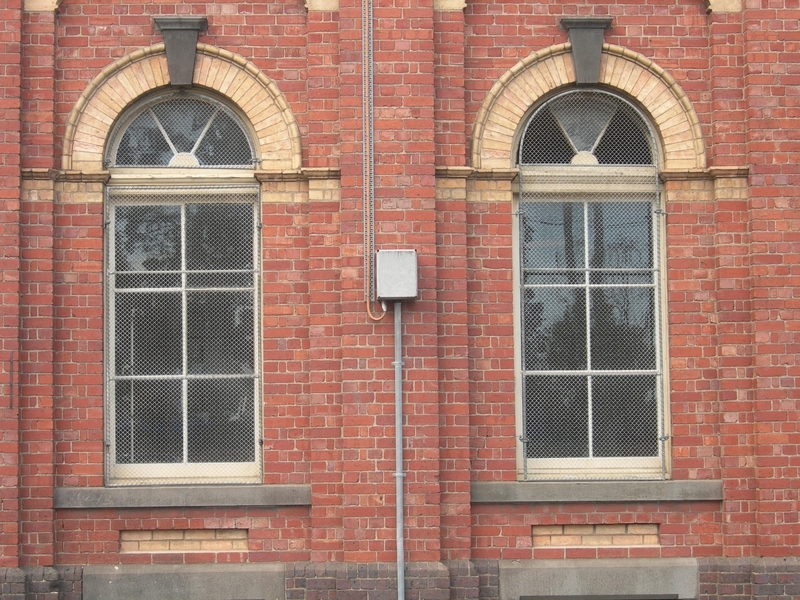 existing adjacent Victorian period detail. site surviving Metropolitan Gas Company equipment.